A great stout fellow big in brawn and bone. Of tavern stories, filthy in the main. The Infamous Miller, famous to a certain generation as compulsory English Literature reading, is a really characterful figure. 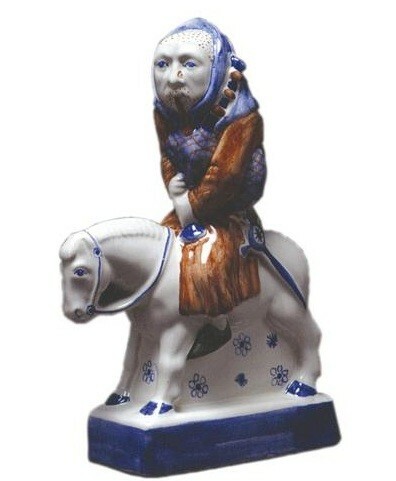 He is depicted warts and all, with a palette using mainly terracotta and cobalt blue – even his bagpipes are shown in a suitable check.